"Apparent sunrise" is the astronomical term for dawn. In New York City on November 4th, 2008, this occurred at 6:30 AM Eastern Standard Time, one hour and thirty minutes after the first vote was cast on Election Day that year. 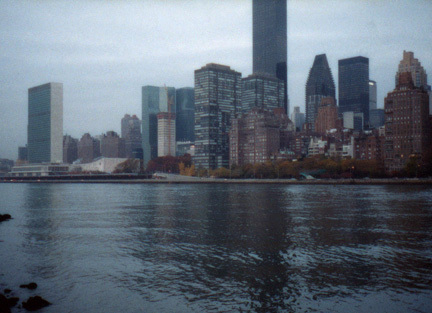 The film presents an image of New York City’s midtown skyline and East River illuminated by the diffuse morning light of that overcast day. Cars, with headlights lit pass each other on the Franklin D. Roosevelt East River Drive as a tugboat speeds along the water to its destination. The piece is shown as a small projection in an empty room. The spectator activates the film by pressing a button. When it has played through the film stops and is ready for the next viewer.